A type of amulet known as the tyet consists of an open, knotted loop of cloth from which hangs a long sash flanked by a pair of loops. These amulets were closely associated with the goddes Isis and her protective powers. From the New Kingdom on, Egyptians and later Nubians routinely included them in the mummy wrappings to guard the mummy. 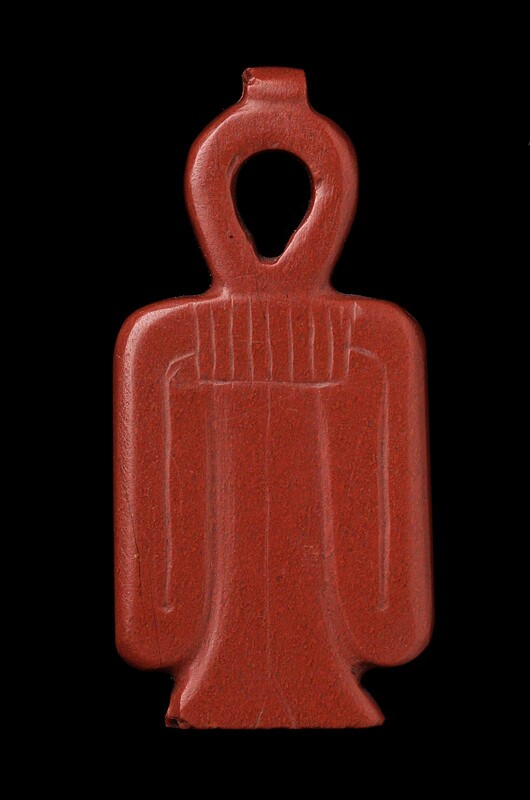 The ideal material for tyets, as shown here, was red stone, identified with the blood of Isis. From el-Kurru, Ku 53 (tomb of queen Tabiry). 1919: excavated by the Harvard University–Boston Museum of Fine Arts Expedition; assigned to the MFA in the division of finds by the government of Sudan.